Brooks Running has a long heritage of supporting athletes at every level. Well known as one of the top brands in run specialty, we fit thousands of runners in a Brooks shoe every year. 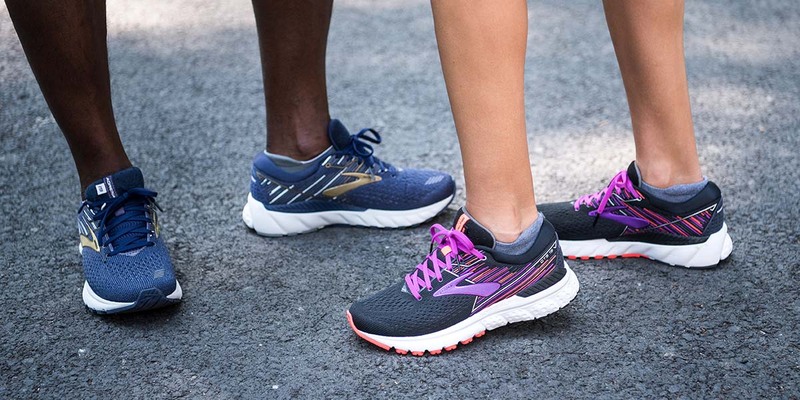 Our fit experts are here to make sure you’ve got the perfect shoe for your foot and gait, and Brooks has created technology to help you find your run signature. Your run signature is the combination of the unique attributes made up by your feet and gait. Each individual runner is unique, and while there is no shoe perfect for everyone, there is a shoe out there perfect for you. At Fit2Run we know fit, and we know that trying to understand the fit you need can be a little overwhelming. 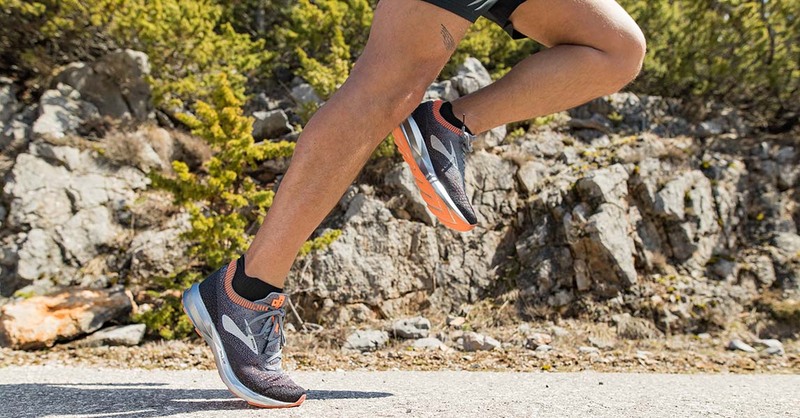 Whether you’re searching for a new shoe to start your next training program, or you’re looking to replace a worn-out pair of shoes we’ve broken down the tech of our top Brooks shoes to help you find the perfect pair. 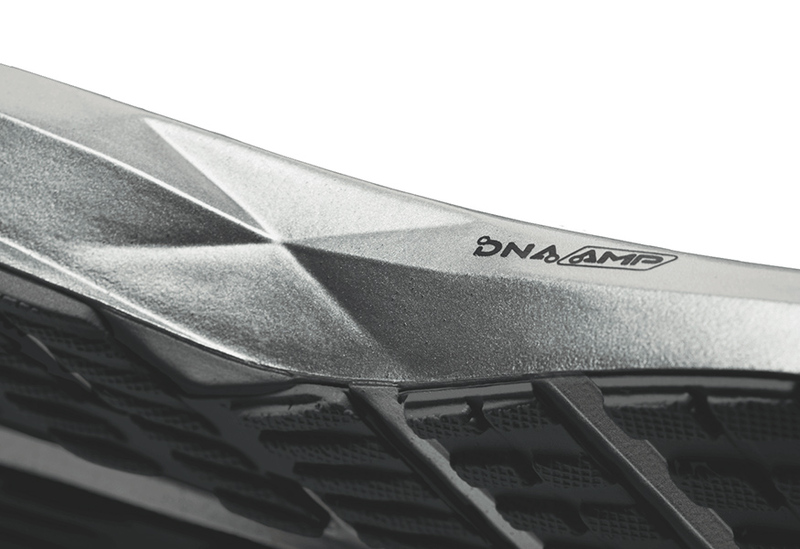 DNA AMP is the cushioning system engineered to provide exceptional energy return. The polyurethane (PU) foam naturally expands and returning energy as force is applied. Encased in a thermoplastic PU skin that resists horizontal expansion, DNA AMP delivers energy directly back to the runner. Shoes with DNA AMP feel springy. The highest level of DNA AMP, the Levitate 2 will feel super springy and provide maximum energy return. Bedlam is similar to Levitate2 in cushion and energy return but has added stability thanks to GuideRails technology. Made for those who need support, the GuideRails are in place to guide your feet into alignment whilst reducing shin and heel rotation, keeping any excess knee motion in check. The Ricochet has been described as feeling springy and light, with a quick hit of DNA AMP. The sleek upper and quick transitions help you move from heel to toe without losing energy. The Launch 6 is springy and fast, with the speed of a racing flat and the cushion of a trainer. It’s a great option for a neutral runner who doesn’t like a super soft shoe but is still looking for an energizing run experience. DNA LOFT is the epitome of plushness. 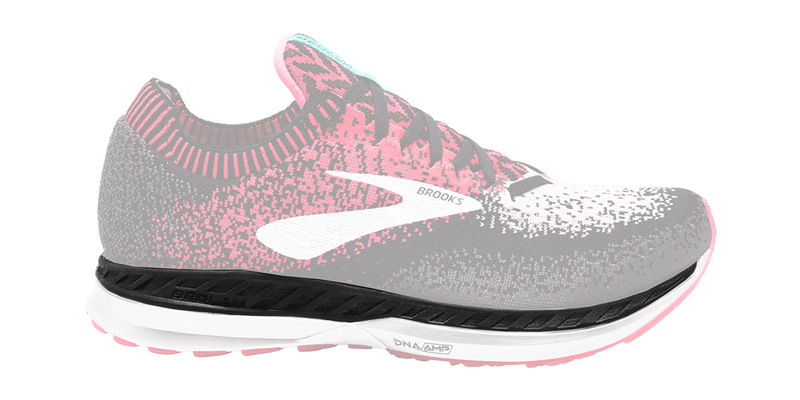 A finely calibrated mix of Brooks DNA foam, air and rubber, DNA loft is the upgrade to Brooks Super DNA and offers the softest feel and ride. Engineered to provide a soft feeling underfoot without losing responsiveness or durability, shoes with DNA LOFT will feel soft and cushiony. Lighter and softer than ever, the Glycerin 16 fits like a glove with new 3D Stretch Print upper and an internal bootie to surround your foot. The DNA LOFT cushioning adapts to every step and stride with ultimate cushioning underfoot. You’ve got to feel the softness to believe it. Not too soft, not too firm. The Ghost 11 delivers cushioning that is just right. One of the most popular shoes with Fit2Run customers, the Ghost 11 has an ethereal feel only rivaled by its responsiveness and durability. For runners needing stability and responsive cushioning the combination of GuideRails Technology and DNA LOFT makes the Adrenaline GTS 19 the perfect shoe. With the knowledge that the foot is smarter than any shoe, GuideRails are engineered to empower the foot’s natural range of motion, instead of trying to outsmart it. The key to GuideRails support is coupling, which is the partnership between the knee and ankle. Simply put, GuideRails are the bumpers in blowing, and your foot is the ball. They are there when you need them, and out of the way when you don’t. 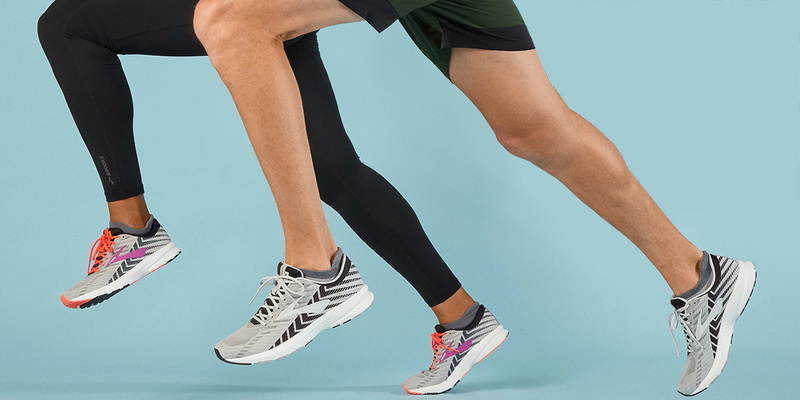 They work hard to reduce excess heel and shin rotation to keep your natural knee motion within a safe range, so you can run without pain or discomfort. 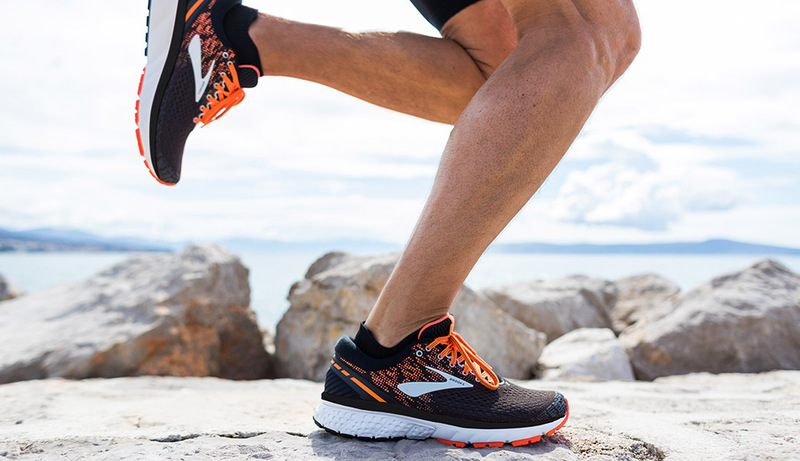 The Brooks Adrenaline and Bedlam feature GuideRail technology. Still not sure which shoe is perfect for your run signature? Be sure to visit one of our retail locations and have a fit expert to a custom fitting! If you can’t make it to a store, don’t forget all Club Members enjoy a 30 day wear test so you can try out the shoe you are interested in and see if it’s your perfect match.